Prospective students begin with a try-out session in order to properly guage their skill level upon entering the Center. The XWC offers a series of classes each week in a safe and controlled environment. These classes include beginner and advanced training sessions, as well as time devoted to character development and interview work. To learn more about the Staff who are overseeing the training school, navigate to our About Us page. Now Accepting Training Applications! The XWC can help you get your start as either a wrestler, a referee, or wrestling manager. The classes begin by focusing on navigating the ring properly and safely, holds, takedowns, and basic chain grappling. Trainees will also learn the pacing and general flow of a match, from the first lock up to the final three count. Knowing when to use a move is just as important as what move to use, and our beginner classes focus on developing both the mind and body of a wrestler. Training for professional wrestling also includes developing yourself. The XWC provides training to help students better present themselves in front of the camera and the crowd. Developing a persona, learning to communicate effectively, making that connection - we add the polish to make you shine! Once a week, head trainer David Cattin will host a training session geared more towards those actively competing in the professional wrestling circuits. This class will focus much more on conditioning, advanced techniques, and the "Ring General" mentality. Each week, we'll have a specific goal we will be building towards, with the end result being a better and smarter worker. We also regularly feature seminars from veterans of the region and top stars touring through Kansas City. XWC is always looking to provide the best cutting edge training possible from the top performers of today. 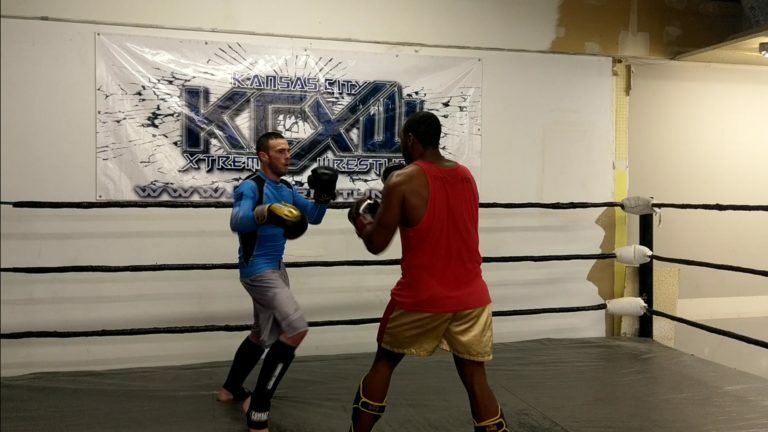 In addition to the core wrestling training, The Xtreme Wrestling Center has partnered with Dancing Bear Muay Thai instructor John Thayne to provide an excellent facility for self defense and competition training. Strikes, throws, blocks, counters, chokes and locks are all covered along with intense fight conditioning and mental preparation. Dancing Bear provides a great and affordable workout for staying in shape and protecting yourself, whether that's for the office or the cage. 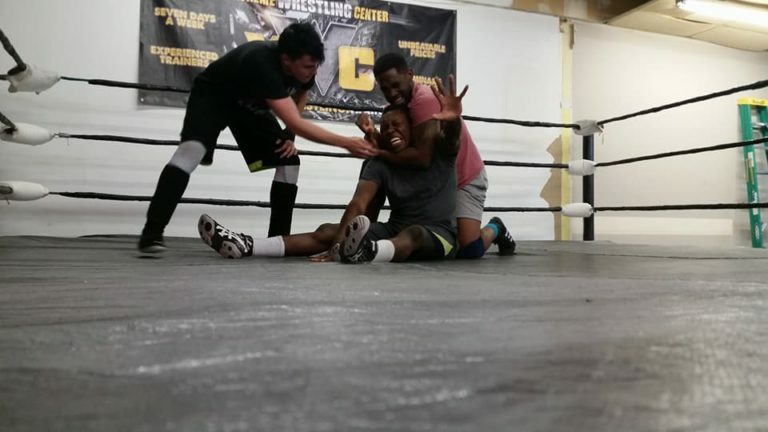 XWC Students have the opportunity to take advantage of Dancing Bear training at a discount, making them even more effective in and out of the ring. As professional wrestling and mixed martial arts evolve together, XWC looks to stand at the forefront by combining both into one training facility. The Xtreme Wrestling Center has been put together with the trainee in mind as the focal point. Class schedules are in place with the full-time workforce in mind, and the facility will always have someone on staff if trainees are looking for a little extra gym time. We provide an inviting atmosphere with a dedication to putting in the work needed. With the Center being the primary training facility for Kansas City Xtreme Wrestling, new trainees will be surrounded by workers of all skill levels and abilities, all of whom have a desire to see each trainee flourish into a wrestling force. 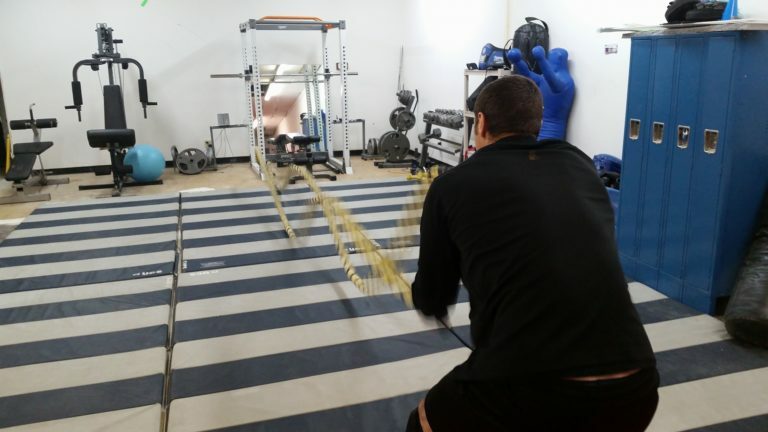 If you're serious about your training, we're committed to making you the best you can be. There are many paths on the road to success, but not everyone will make a warrior of you. The XWC was founded to help each student start their first steps on that transformation. If you're ready to learn to wrestle, and willing to mold yourself, we are here to make warriors.